The suites for two at Carpe Diem have private plunge pools, as well as the hotel’s beautiful infinity pool. Depending on your mood, a dip for two or cocktails poolside. Heaven. Head to rural Devon and the architectural feast that is Kaywana Hall. 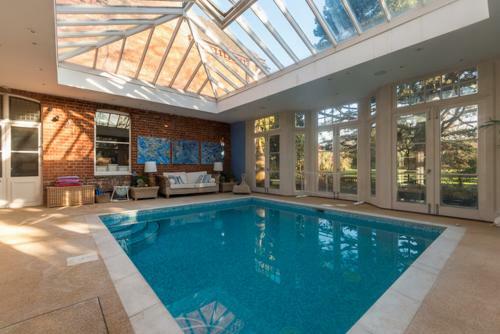 Alongside the beauty of the house is the fantastic pool, surrounded by woodland and rolling hills. A little bit of Miami in Devon. Big skies are the order of the day at Savoy Saccharum, and they’re best enjoyed immersed in the hotel’s insanely stunning infinity pool. Drag yourself out for a cocktail and revel in the sunsets. 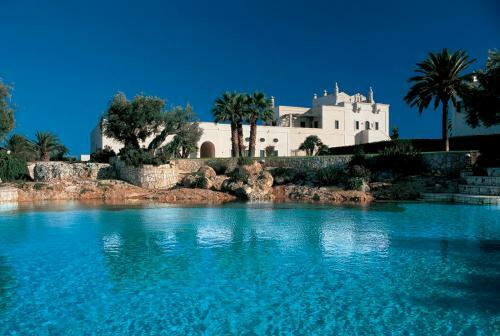 The lovely, natural styling of the pool at this spa hotel in Puglia is complimented by the fact that’s a natural salt water pool. 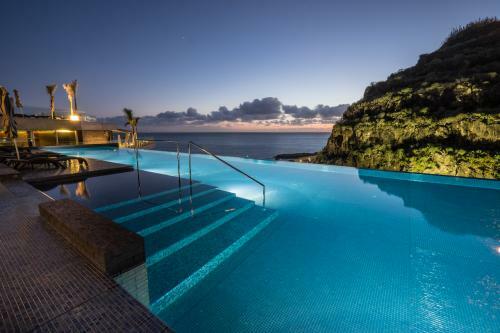 You CAN walk to the hotel’s private beach, but why bother when this amazing pool is right outside? The simple elegance of the Tas Otel is reflected in its pool and garden. Walled off from the outside world you can escape and relax. 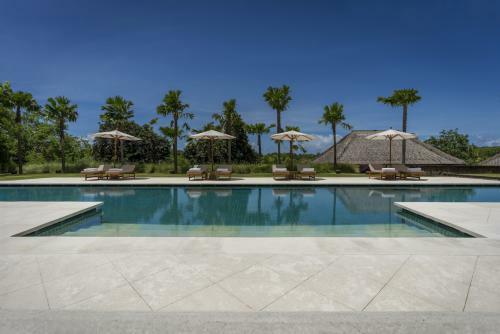 There are also two villas with a separate pool. With views down to the coast, the pool at fun and friendly Hotel Mamma Santina on Salina is a perfect spot to enjoy a later summer dip – the hotel’s open until mid-October. Heading to REVĪVŌ Wellness Resort means two key things: health and relaxation. Courses offer extensive insights into healthier living and its facilities are designed to relax and restore in luxury. Bliss. The views from the plunge pool at boutique B&B Almohalla 51 stretch across the small town of Archidona to the plains and mountains beyond. Head up to the terrace at dusk for sunsets and birdlife. The grandness and sophistication of this lovely French B&B, Domaine de Perches, belies the friendliness and warmth of the welcome that awaits in this stunning corner of France. Rescued from dereliction, 1902 Townhouse is a now a design led, stylish B&B. Head out to the plunge pool to cool off having explored the delightful town of Soller or other Mallorcan delights. 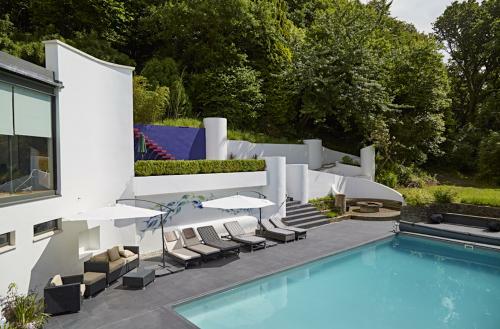 Stay in Georgian splendour at The Grange, a boutique B&B in Frampton-on-Severn and discover the rather modern – and lovely – addition of an indoor heated pool. There’s also a gym… and a pub down the road. The choice is yours. 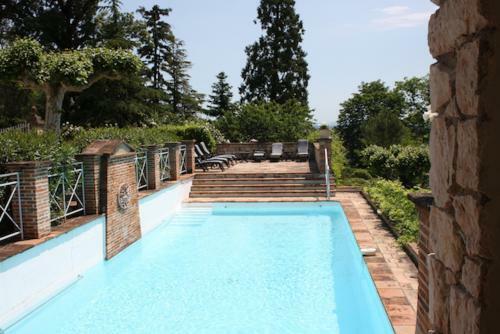 Curving around the end of the patio, against a mellow stone wall, is the lovely pool at this chic French B&B. 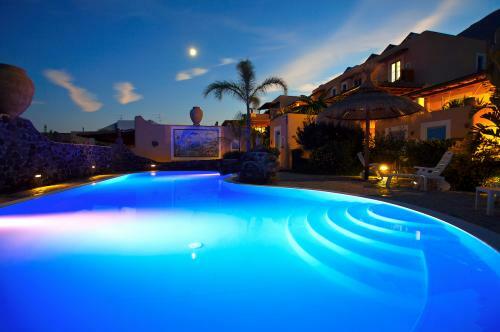 Take a dip and then make use of the outside kitchen just next to the pool. No need to stray.